Easy Connection Shrouded 3-pin IEC C14 Male Rewirable "Cold" Line Plug. 110-250VAC, 10A. 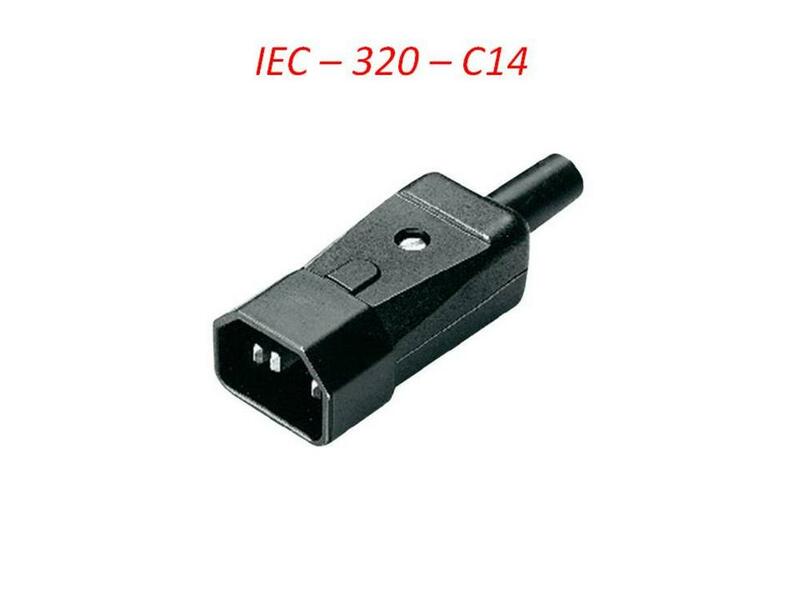 Standard straight black plastic bodied IEC 3-pin inline cable plug for IEC mains power extension cables and UPS fly leads, suitable for connection to industry-standard IEC C13 sockets.